Technology research firm IDC has warned that recent widespread price cuts by dominant cloud storage firms could drive smaller vendors out of business. 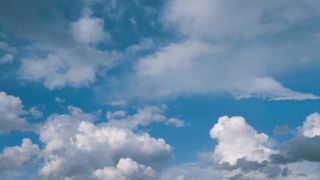 A new report shows that cloud service providers (CSPs) in Asia dropped prices considerably in March, and this has been mirrored in Western countries by the likes of Amazon, Google and Microsoft. The increased competition has been welcomed by some, but IDC sees a much grimmer picture. "If the smaller CSPs are strong enough with decent customer bases, they will be acquired by larger providers. If not, then they're road-kill. In any case, both of the above will drive consolidation amongst the cloud vendors," said Chris Morris, lead analyst of Cloud Services & Technologies at IDC Asia/Pacific. Morris argues that smaller cloud firms will be forced to close shop if they continue to rely on providing basic, undifferentiated services. He cited a move by Cisco to provide differentiated Infrastructure-as-a-Service (IaaS) as the way forward, offering opportunities for partners to tackle vertical markets. He also sees a bitter fight on hand between major cloud providers to grab key partnerships. "With Google getting serious about the enterprise and beginning to capitalize on its huge developer partner ecosystem, the whole partner landscape could get a bit bloody as service providers including AWS, Google, Microsoft, Cisco, Oracle and HP all vie for the same partners," he said. While it might not be good for small businesses, it's arguably still good for the price-conscious customer. What are the benefits of a truly open cloud?